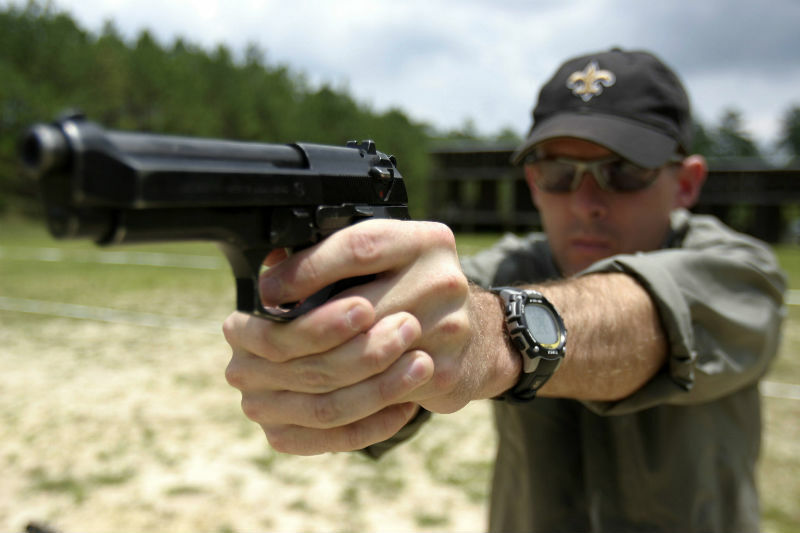 Left-handed shooters aren't always left high and dry with handgun options. Fortunately, the internet has no shortage of opinions. Check out the comments section to get some more advice from everyday carriers. Comment below with your best tips for left-handed shooting and handgun options. In no particular order, here are five ambidextrous handgun options. 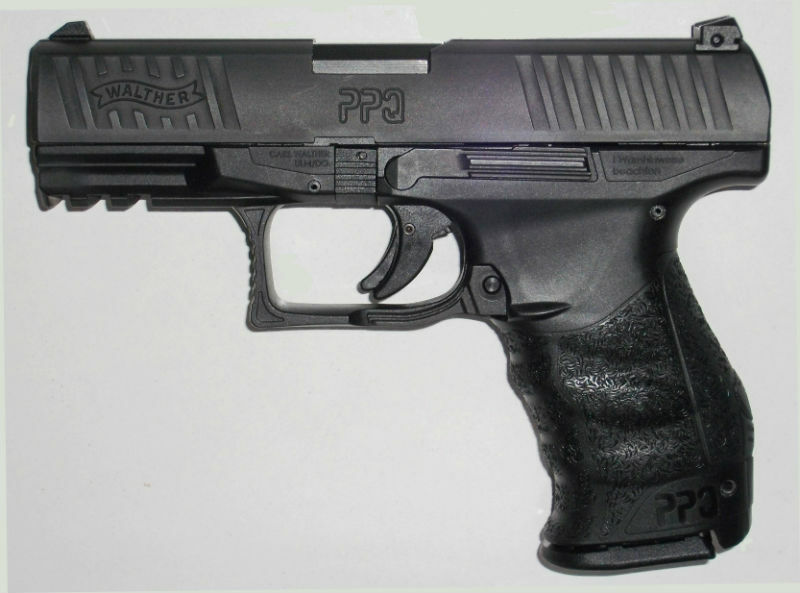 The Walther PPQ 45 M2 is an update that was presented at the 2013 Shot Show. Its ambidextrous magazine release on the bottom of the trigger guard was updated with an ambidextrous thumb release — ideal for left-handed shooters. Coupled with an ambidextrous slide stop, it's a decent option for Southpaws. Chambered in .45 ACP with a 4.25" barrel, it's a high power option for open carry. Its 5.6 lbs trigger pull and 0.4" trigger travel with a 0.1" reset offer a comfortable shot with a 12-round capacity magazine. The interchangeable grips allow for customized ergonomics, and a picatinny rail can mount tactical attachments. As Walther's flagship model, which received the 2017 American Rifleman Handgun of the Year, it's employed by German Police agencies and foreign militaries. This centerfire is used by private and public sectors alike. Heckler & Koch is another well-known German name friendly to left-handed shooters. 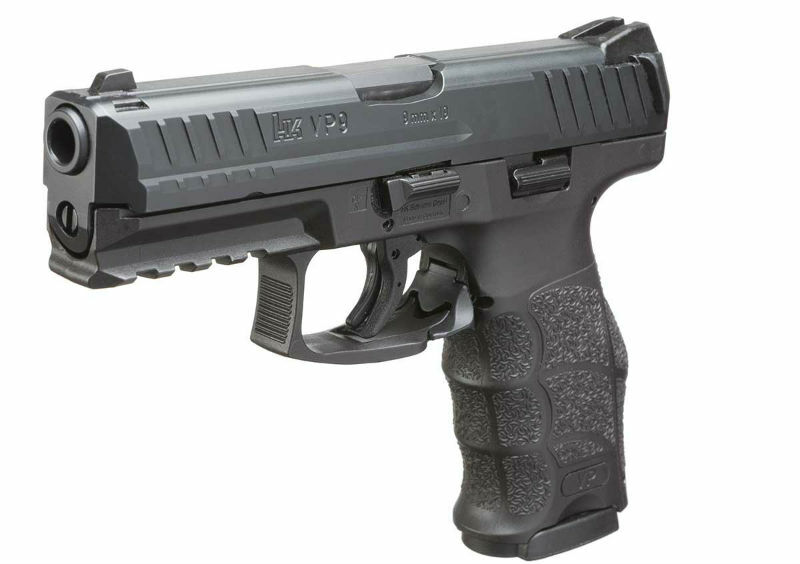 The VP9 is H&K's first striker fired handgun since the P7 was introduced in the 1980s, and it was aesthetically inspired by the polymer framed P30 introduced in 2006, which evolved from the P3000. Heckler & Koch's lineage is linked through design iterations employed by law enforcement agencies and civilian shooters around the globe. There is good reason: German engineering. An ambidextrous magazine release is located on the bottom of the trigger guard, and an ambidextrous slide release rests within reach of the ergonomically optimized grip, which can be altered with three different backstraps and six differed side panels. For some, a trigger guard mag release isn't preferable. This 9mm's cold hammer forged 6-groove, polygonal barrel completely seals propellant gases behind the projectile as it passes through the bore, allegedly increasing its velocity from muzzle to target. The VP9's dimensions: 7.34" in length with a 4.09" barrel, 1.32" width, 5.41" height, 6.38" sight radius and 26.56 oz. with an empty magazine. The VP9's trigger data: 5.4 lbs pull, 0.24" travel and 0.12" return travel. The VP9 for lefties: not bad. Let's get the Austrian juggernaut out of the way now. "I know of your past fondness for the German varietals, but I can wholeheartedly endorse the new breed of Austrians," although they were speaking about the Glock 34 and 26, not the Glock 17 Gen4, John Wick: Chapter 2 helped popularize an already prevalent name. A recent military contract only extended the name further into everyday conversation — and Sig Sauer's, much to Glock's chagrin. 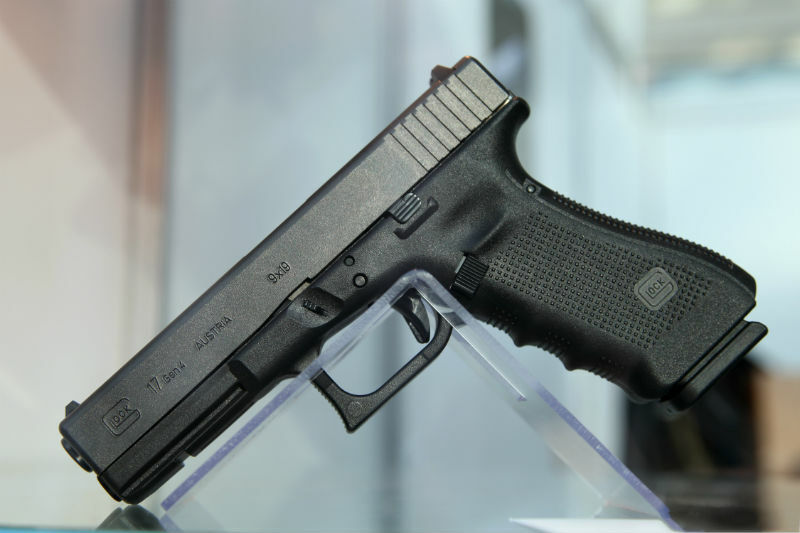 The Glock 17 Gen4, touted as an improvement to the world's most popular pistol (a contested opinion), is a well-known option for lefties. Chambered in 9mm with a 5.5 lbs trigger pull, .49" trigger travel and 17 round capacity, it has a magazine release that can be reversed from the initial right-handed orientation. The lack of manual safety improves its versatility as a tool for left-handed shooters. Its dimensions: 7.95" long with a 4.48" barrel, 1.18" wide, 5.43" high and a 6.49" span between the sights. Italy has produced a few options for Southpaws as well. 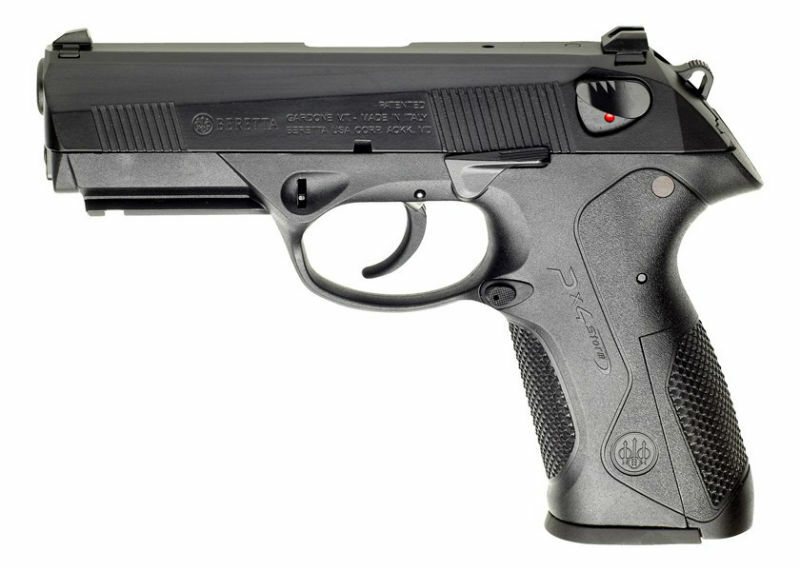 Another handgun with ambidextrous controls: the Beretta Px4 Storm, which with its flip-up ambidextrous manual safety in some models stands in contrast to the previous Glock model. It has a reversible magazine release located just adjacent to the trigger guard. Although it doesn't have interchangeable side straps on the grip, the backstraps are interchangeable to improve ergonomics. It's available in different actions — single action double action, double action only and constant action — and different calibers — .40 S&W, .45 Auto, 9x19 parabellum and 9x21 IMI. Between the four current types available from Beretta, the .40 S&W caliber has either a 14 a 15 round capacity, .45 Auto 9 to 10, 9x19 parabellum 17 and 9x21 IMI at 15 rounds. There are variations between the four Beretta Px4 Storm models. Types C and D have a spurless hammer without a decocker or safety. Type F has a decocker and manual safety, while the Type G has a decocker but no manual safety. There are compact and subcompact models for concealed carry, only available in .40 S&W and 9mm, while the full size is offered in .45 ACP. You've probably noticed all of the handguns in this post are semi-automatic. Revolvers in general are compatible with left-handed shooters, it's having to change hands to swing the cylinder out to the left that may be a minor annoyance for some shooters on the range. With training and personalized tactics, most folks tend to overcome that issue, and some left-handed shooters boast a faster reload time than righties. Charter Arms, though, made a stride in the firearms industry by supposedly developing the first specifically left-handed revolver. They really drive that point home with the name: the Southpaw. 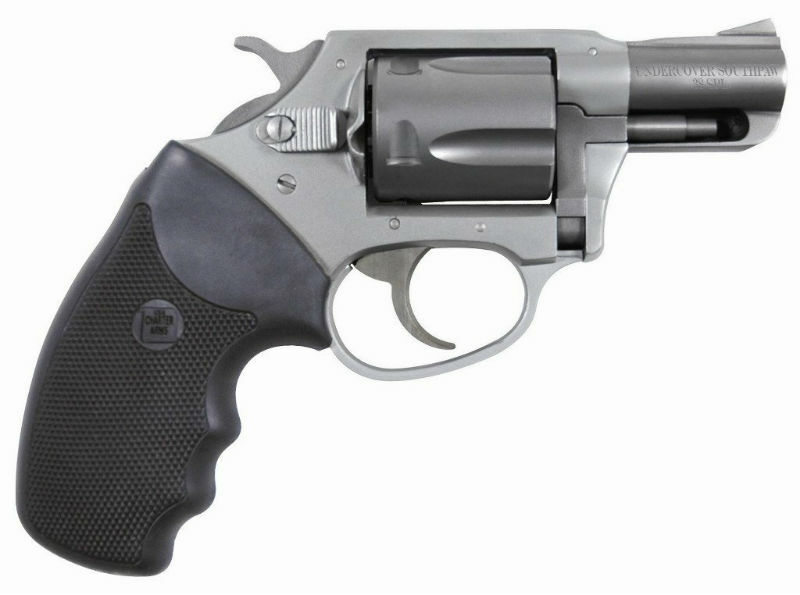 Offered in .38 special with a price tag of around $400, this 5-shot has a 2" barrel and is similar to their Undercover Lite, albeit completely reverse-engineered. It comes with an aluminum finish, but it's available two-toned with their Pink Lady finish, if you're a gal who prefers a pink handgun — seems to be a prevalent option handgun manufacturers keep offering to appeal to a female demographic. Whether or not women prefer a pink handgun is not up to me to decide, but I would love to hear feedback about that below in the comments section. There's an enormous list of revolvers that would suit left-handed shooters, and several more semi-autos. Why not let others know in the comments about your opinion on left-handed pistols and what choices are the best? Or you can just go to the range and try out a few new handguns.